Note: While this review will be spoiler free, it will reference previous books. 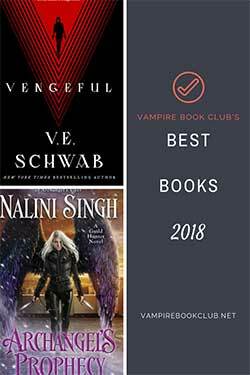 If you haven’t started this series yet, check out VBC’s review of book 1, The Last True Vampire. 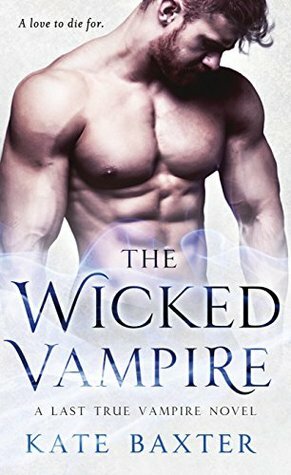 Being turned from a dhampir into a full-fledged vampire did not go quite how Sasha was expecting it to with her soul lost and the love she feels for her coven master, Saeed, being unrequited. Sasha decides to let loose and live a little, partying all night wherever and with whomever she wants, but even that is starting to lose its luster. That is, until she’s at an underground cage match and she finds her soul tethered to none other than a berserker, the vampire’s mortal enemy. Tired of living in squalor with his brethren—blindly following his leader’s unrepentant quest to find the dhampir responsible for the death of all the berserkers’ mates centuries ago—Ewan has decided to use his berserker strength and endurance to earn some extra cash on the side by fighting in illegal cage matches. He hopes the fighting will eventually give him enough money to strike out on his own. When he finds himself mated to a vampire his warlord “boss” Ian Gregor sees it as a perfect opportunity to infiltrate enemy lines, and find the information needed to completely eradicate the vampires. Ewan is on board with this plan, until he starts spending time with Sasha. 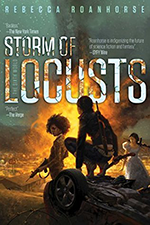 When Ewan’s fighting lands him in trouble with the demons, both Sasha and Ewan will have to get past their differences if they want to survive. Kate Baxter has done a great job building up this series and all the characters within it. While it’s not unusual for two supernaturals from different factions to wind up as mates (as has been employed in the previous two books in the series alone), this time around we have a true enemies-to-lovers story, and with that story we get a good glimpse at the berserkers who have been the main antagonists in this series from the start. In fact, I pretty much loved the continuation of the overall story arc more than I did Sasha and Ewan’s romance (sorry guys!). We learn a lot of interesting tidbits about the Soritari leader, which is something else that has been lacking in the storyline up to this point. We also get some pretty good details about what went down between the berserkers and vampires centuries ago. It “humanizes” the group, which up until this point were pretty much just viewed as mindless killing machines. The Wicked Vampire deals a lot with history, but I felt like Sasha and Ewan’s personal histories were slightly sidelined in favor of showcasing the history of the conflict between the groups. I wanted just a bit more focus on Sasha and Ewan because it is, indeed, their book, and I think it would have made how they work towards acknowledging the mate bond that much sweeter. This has been an excellent series for those who have been missing the vampire as the paranormal creature of choice lately. The world-building is fantastic. As Kate Baxter is a master at teasing readers with where the story goes next, every time I finish one book, I’m eagerly anticipating the next. Thanks for your review, Amy. I just received my copy of “The Wicked Vampire” and have not begun it yet. But I want to say right now how much I agree with your statement about “…missing the vampire as the paranormal creature of choice lately”. Yes, yes, a thousand times yes. I have been expanding my reading interests to include newer paranormal series featuring light as well as dark magic, have gotten on board with the Fae and shape shifters who go far beyond werewolves, and I really like Anne Bishop’s “The Others” series. And there are other supernatural types I have been introduced to who are now on my TBR list. But vampires were my first love and they will always be the top supernatural for me. So you won’t be surprised to know I’m eagerly awaiting JR Ward’s “Blood Fury” next month (will Saxton get his HEA?) and “The Thief” next April (will Vishous really cheat on Jane?). But it’s all good and variety truly is the spice of life!